Rod Thomas is a Londoner by birth, but a Devonian through long exposure! He is married to Lesley (who grew up in Plymouth) and has three adult children: Christopher (married to Claire), Oliver and Lilian (married to Johnny). Rod dates his new life in Christ from the time he read ‘Treasures of the Snow’ as a seven-year-old. His early years were as part of the Plymouth Brethren, but at the age of twelve, he began attending churches of other denominations. Subsequent spiritual influences came through the camps and godly leaders of his school CU, the Billy Graham crusade of 1966, the books of John Stott and the ministry of Emmanuel, Wimbledon. It was at an Emmanuel house party that Rod heard Bishop Maurice Wood explaining that the Church of England was ‘the most reformed of all the churches’ and Rod became a convinced Anglican. Rod was educated in Ealing, West London before attending the London School of Economics. After graduating, he joined the graduate entry scheme of the Civil Service He joined the Department of Employment which he left five years later in order to undertake industrial relations research for the Institute of Directors. He subsequently became the Director of Employment and Environmental Affairs for the Confederation of British Industry. In 1991, Rod left for ordination training at Wycliffe Hall, subsequently serving his curacy at St Andrew’s in Plymouth. He moved to St Matthew’s in Elburton, on the east side of Plymouth in 1999 and was the vicar there until 2015. 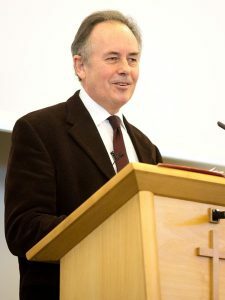 During his time at St Matthew’s, Rod helped to set up the Peninsula Gospel Partnership (covering Cornwall and Devon), with the training course being based at St Matthew’s. Rod is a fervent advocate of expository preaching, of showing practical care for each other within local congregations, of the Christianity Explored course as a great way of leading people to Christ, and of one-to-one Bible reading for building everyone up in their faith. 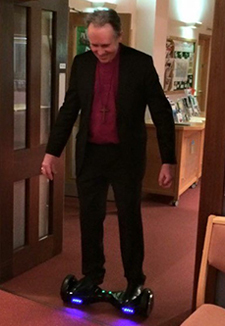 During his ordained ministry, Rod served on the General Synod for 15 years and was a member of the Legislative Steering Group that preceded the Women Bishops legislation. He was the press officer for Reform for 10 years and its chairman for 8 years.